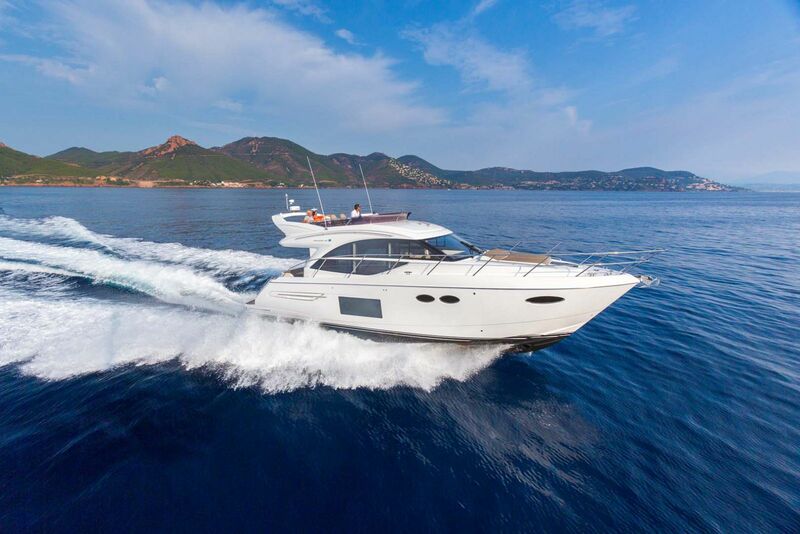 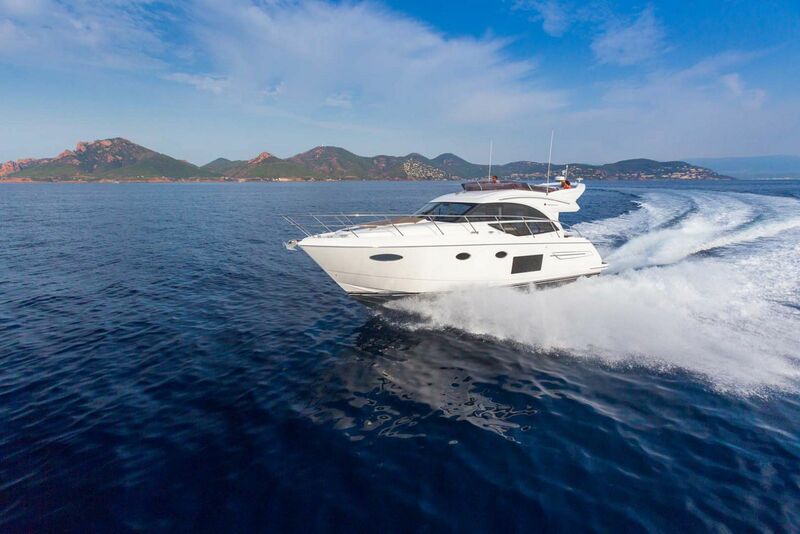 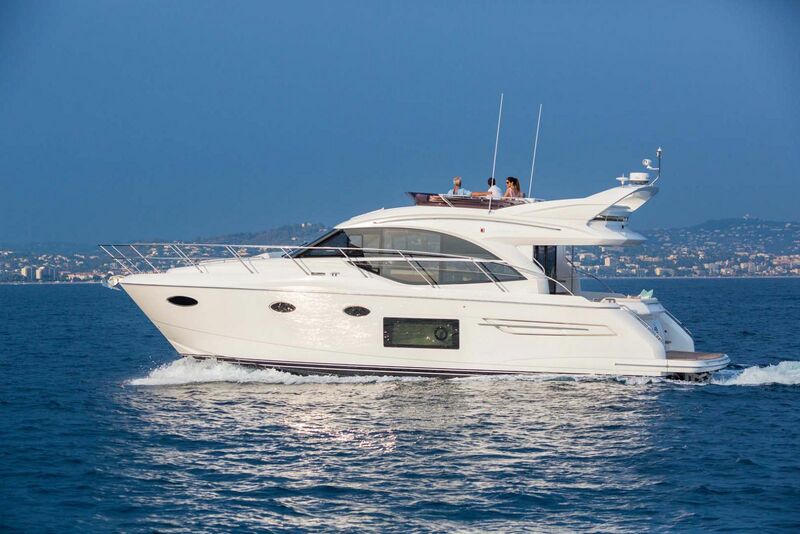 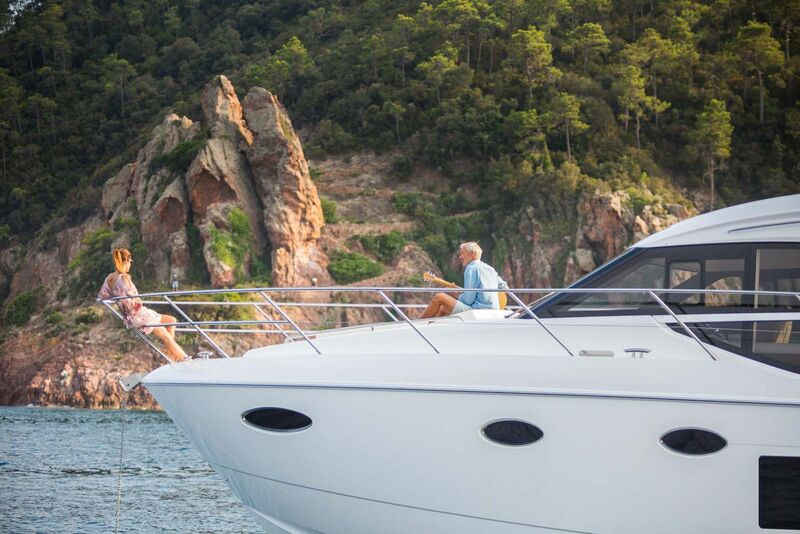 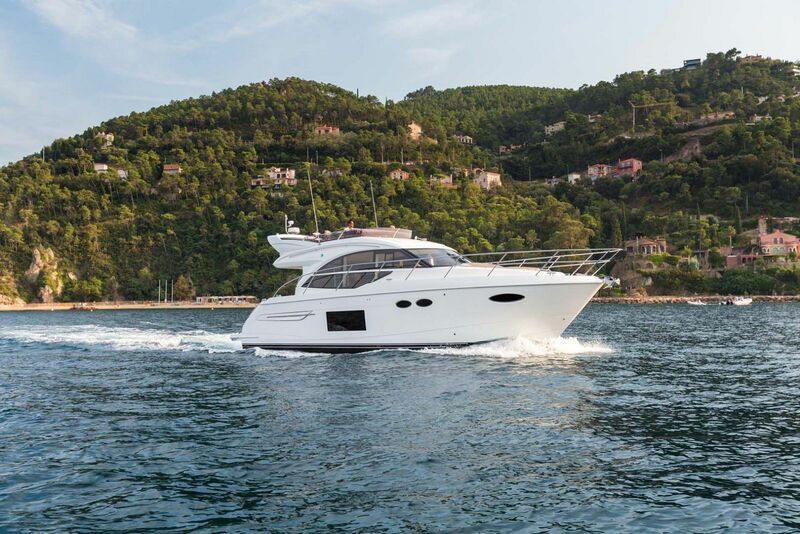 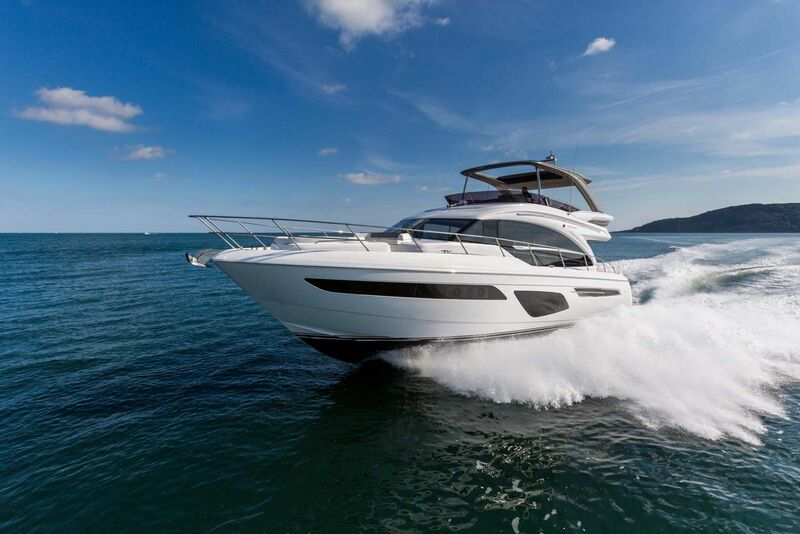 Speedy performance and luxurious interior features make the Princess Yachts F49 Flybridge an enjoyable boat to drive. 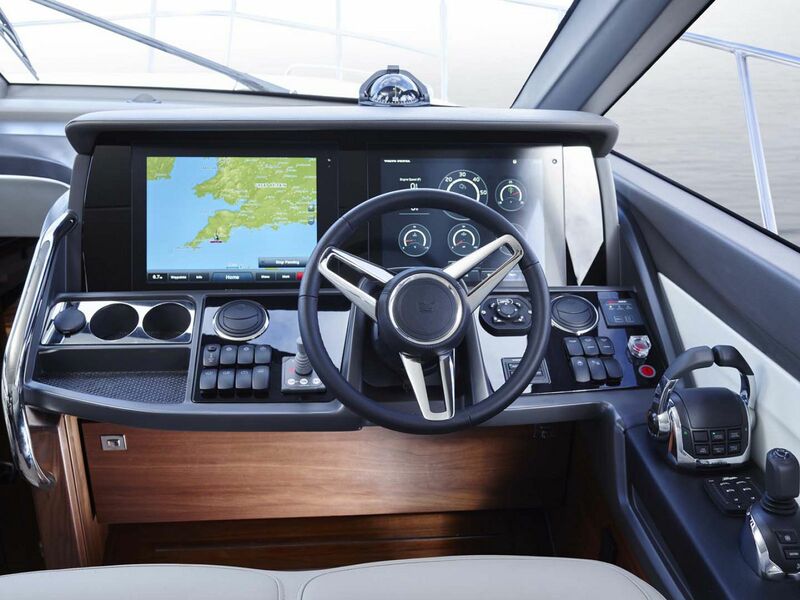 Being able to reach the mid-30 knot range while driving from the bridge is exhilarating and the handling of the 49MY makes it seem like you are driving a sports car on the water. 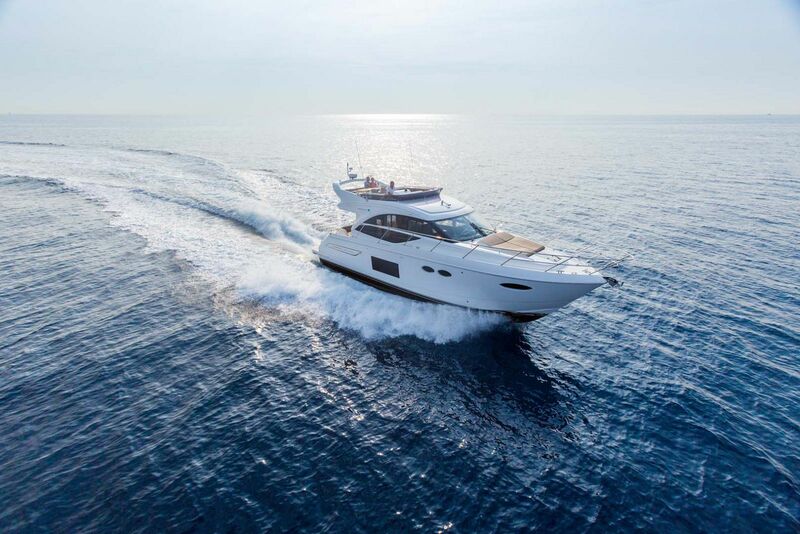 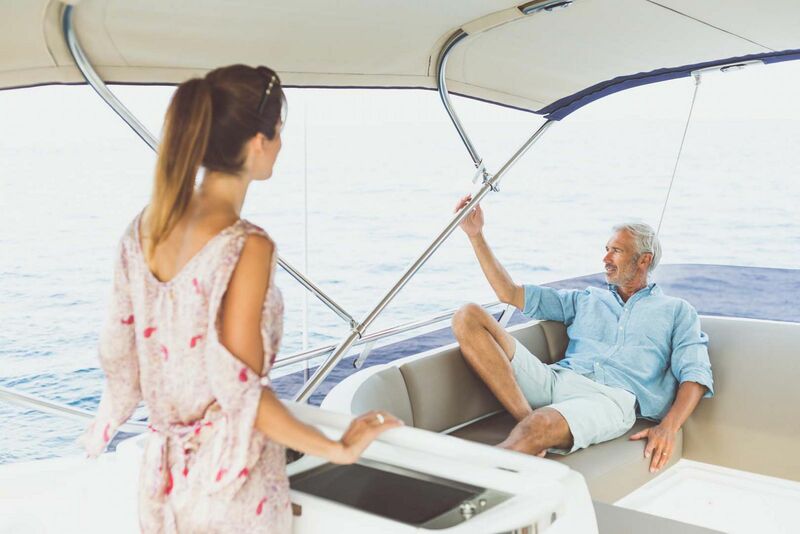 The F49 Flybridge takes advantage of its deep-V hull design and the use of an advanced IPS pod drive system to achieve amazing performance and maneuverability. 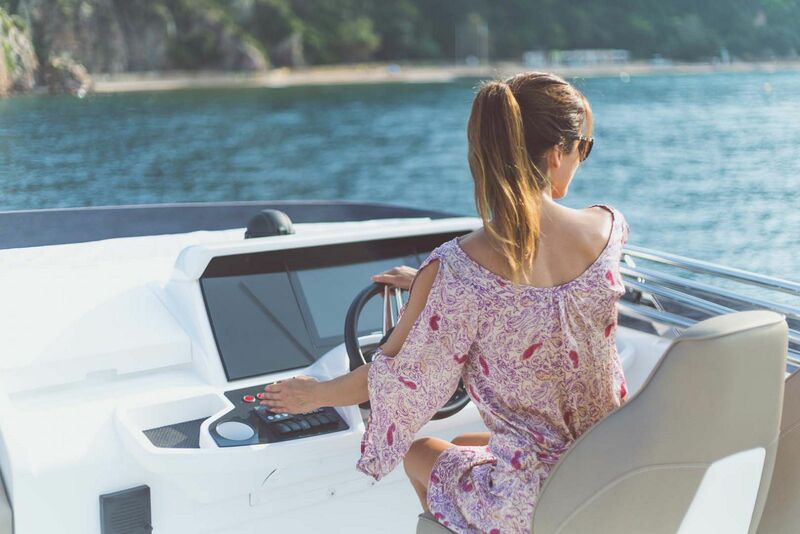 Princess enthusiasts will notice that this is the first Princess flybridge model to utilize the Volvo Penta IPS pod-drive system which has helped the model achieve such speeds and handling while also remaining economically fuel efficient. 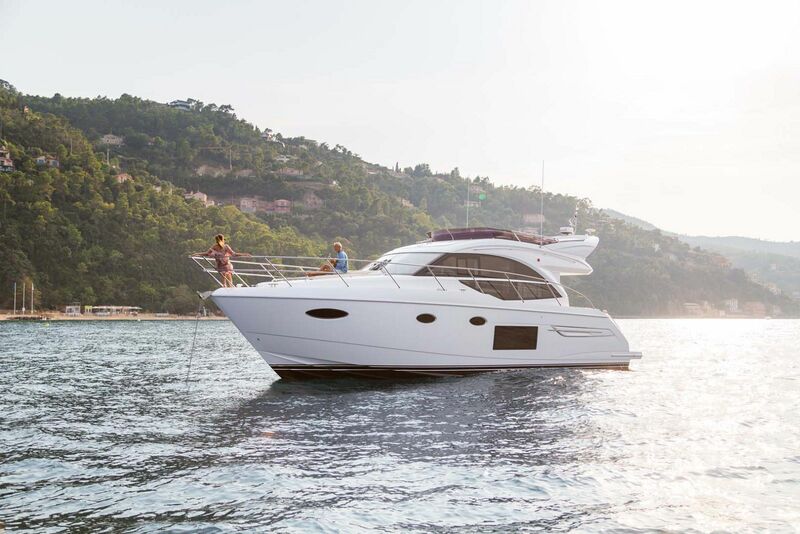 While the new 49MY is still under 50-feet, it’s advanced construction techniques applied to the hull and design offer additional space in the interior which makes it feel like a much larger yacht than it is. 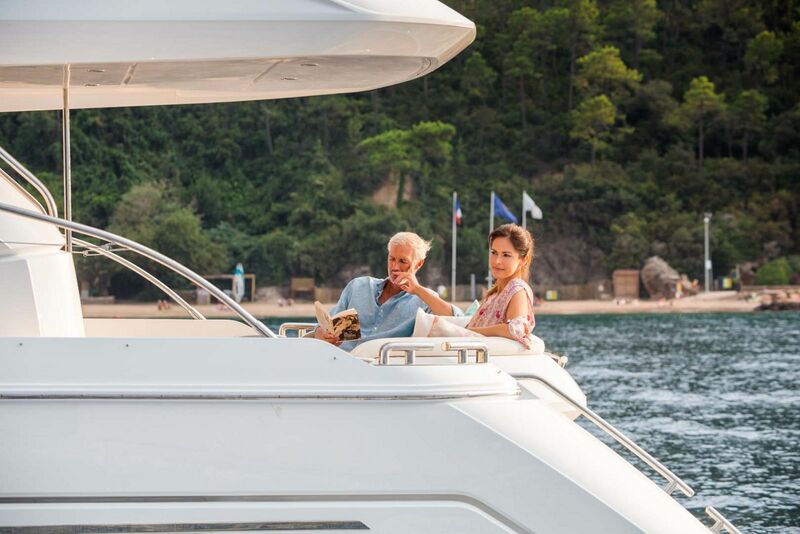 The flybridge helm is an absolute joy to sit behind and reminiscent of a fine Italian sports car with the exception of the incredibly comfortable twin helm seats which provide much more comfort than what you would find on a Ferrari for example. 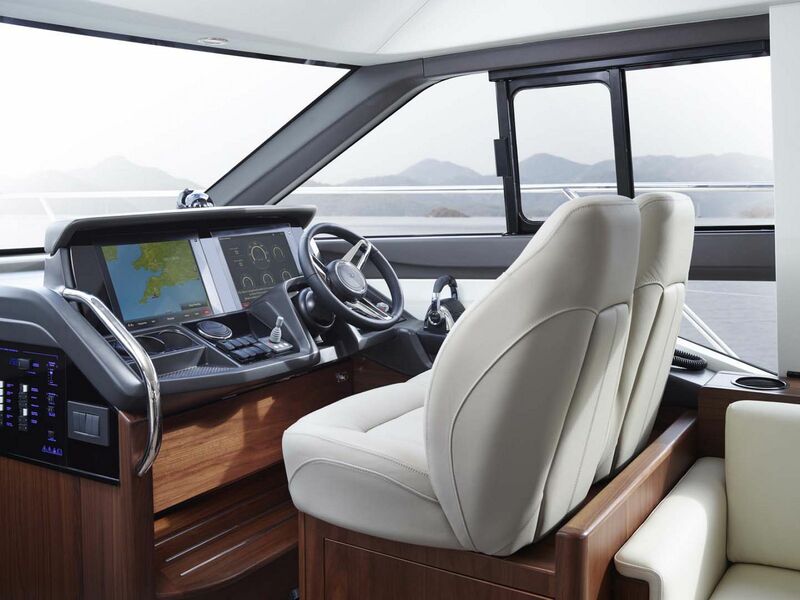 The arch on the flybridge is like a spoiler on a race car and the absence of a hardtop makes it feel like you are driving a convertible. 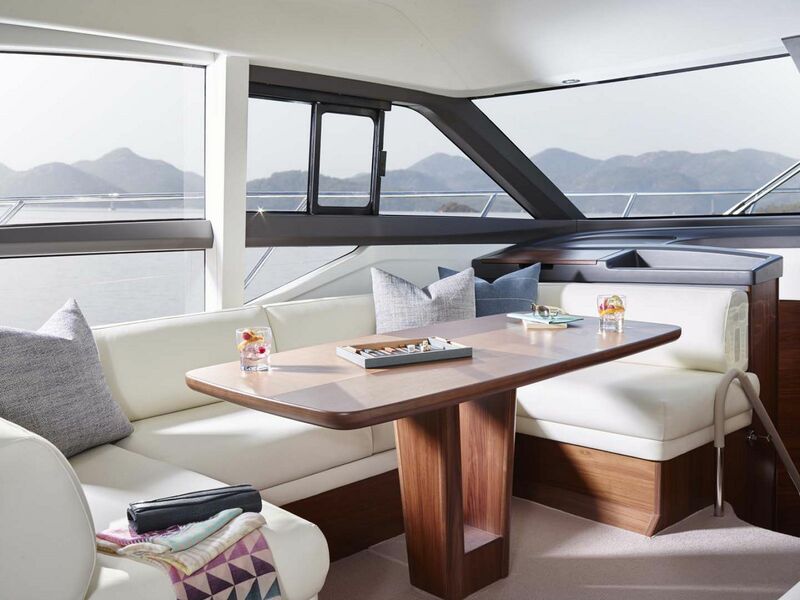 The L-shaped sofa on the bridge converts to a sunpad for the guests who want to lounge while the trip is underway or keep the table to dine al fresco. 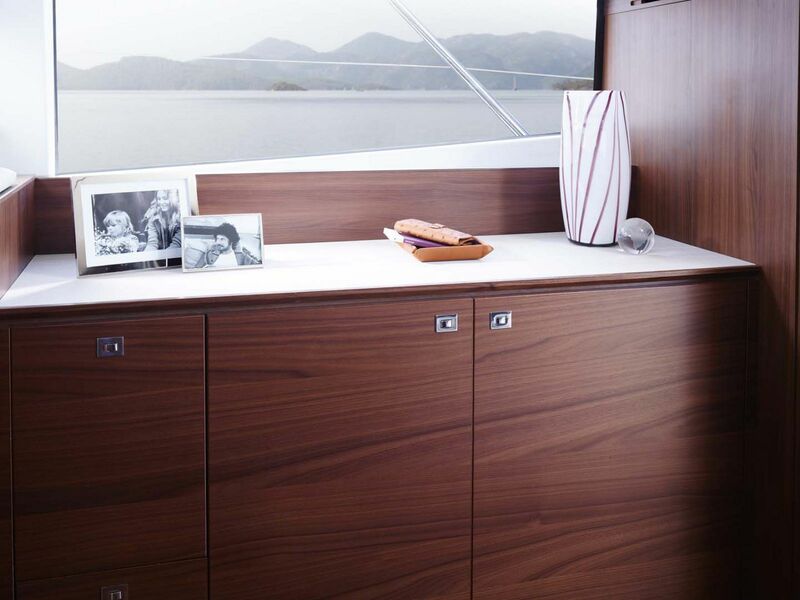 There is a refrigerator on the bridge as well along with a wetbar for entertaining. 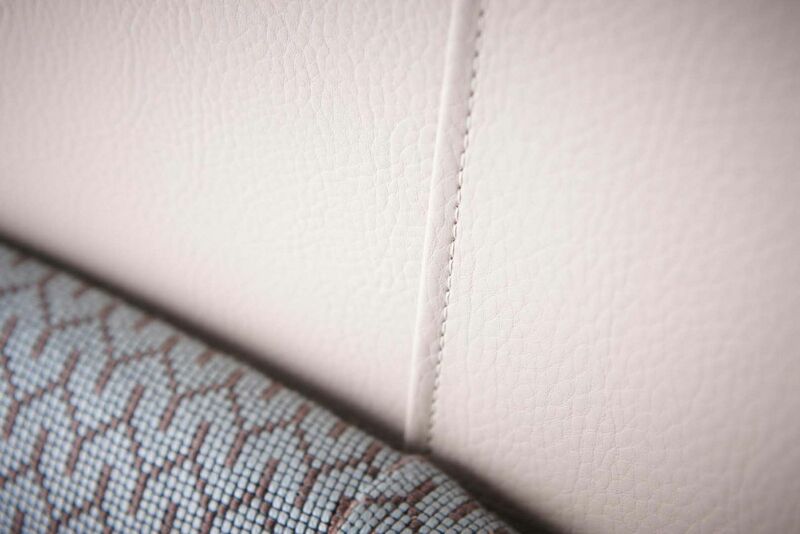 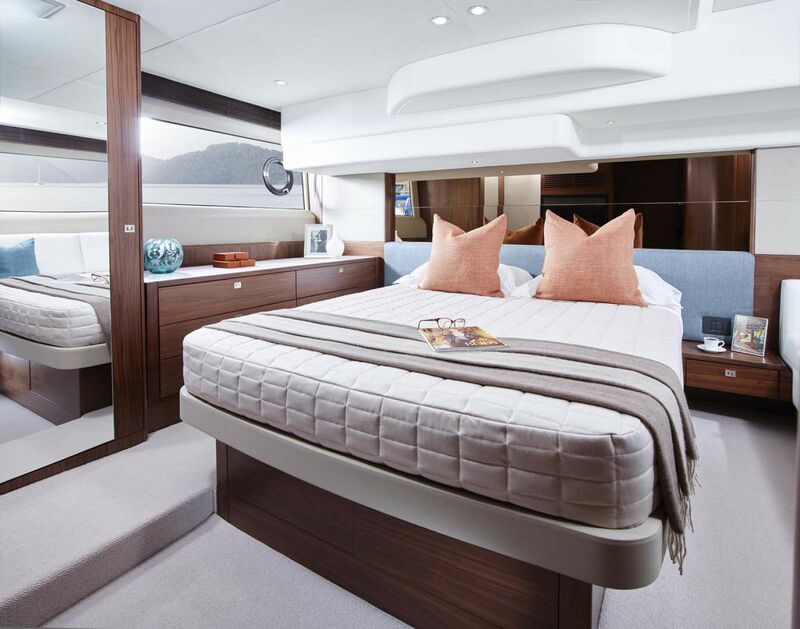 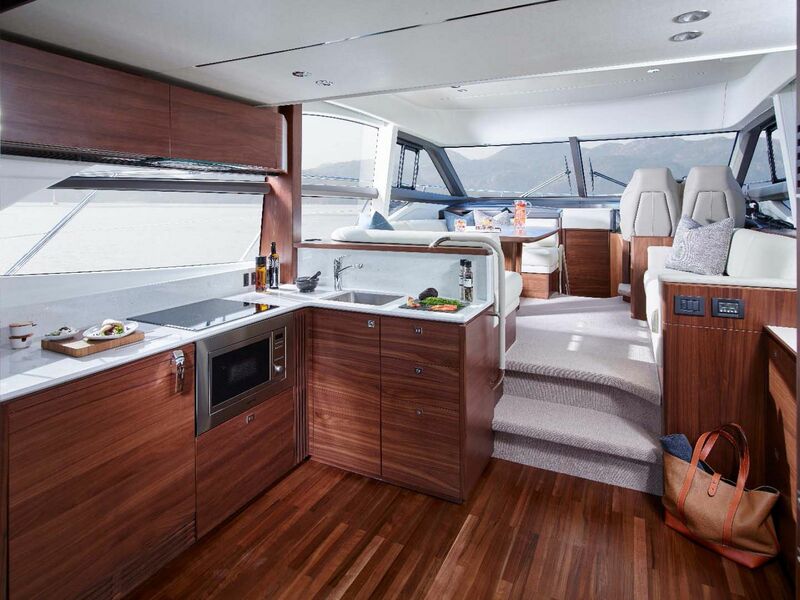 The interior of the 49 Flybridge is spacious and elegantly decorated. 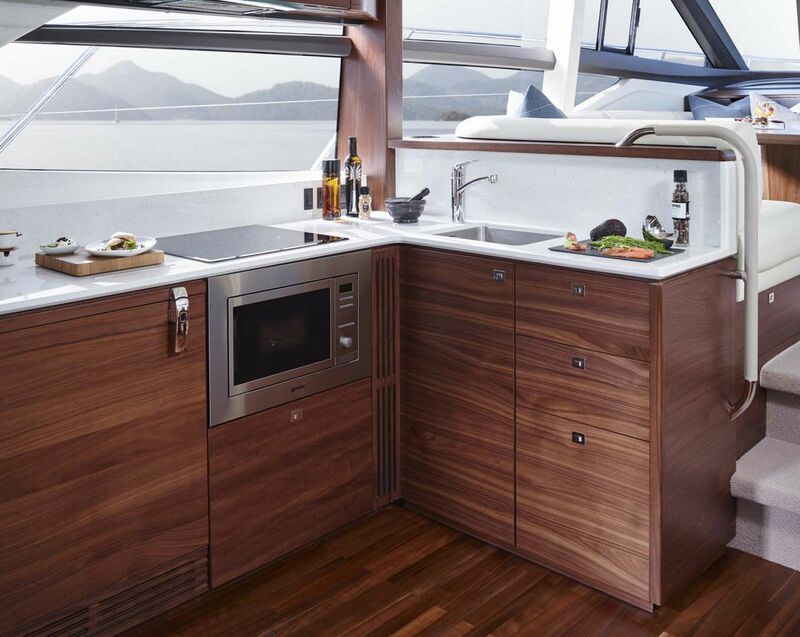 The galley is placed aft near the sliding salon doors which when opened, can offer guests sitting in the aft cockpit a bar for sitting or serving. 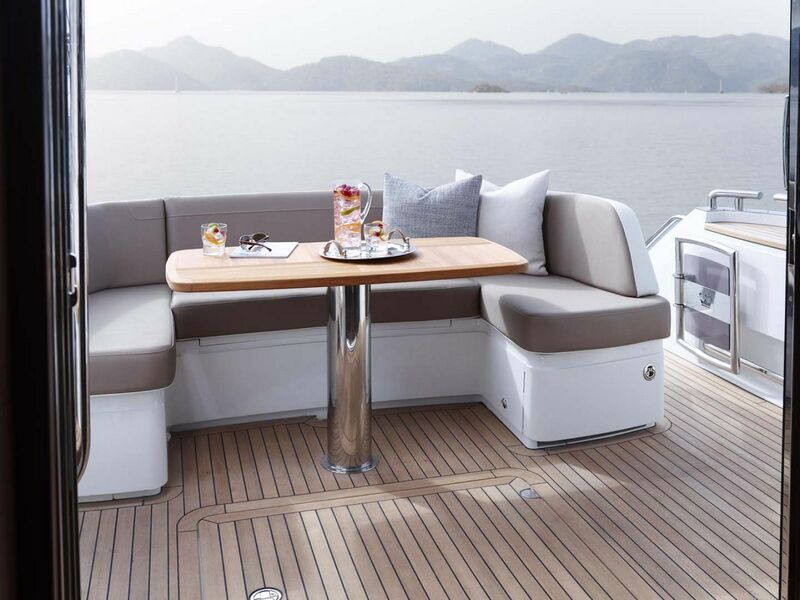 There is a U-shaped lounge with dinette table that is opposite an additional two-seat sofa and the inside helm station. 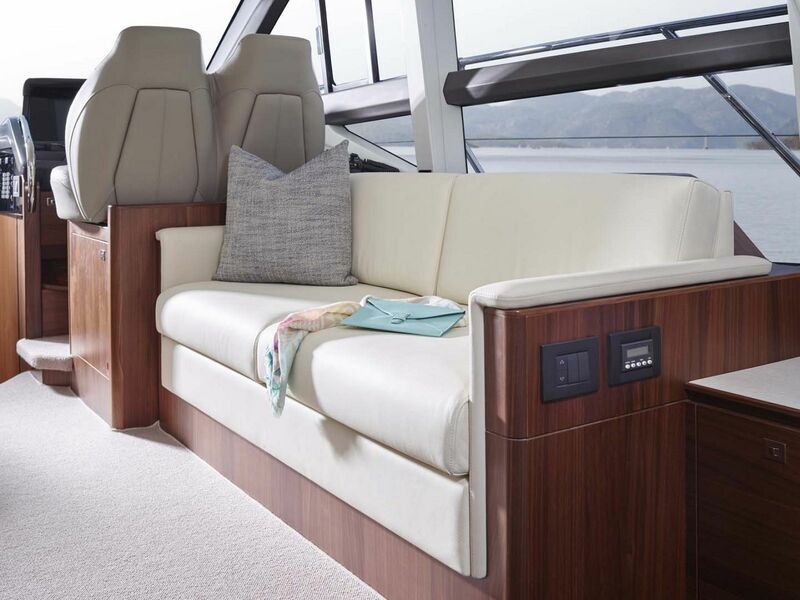 While the aft cockpit and flybridge offer amazing views, the panoramic windows in the salon can provide scenery that is just as good and in the comfort of air conditioning. 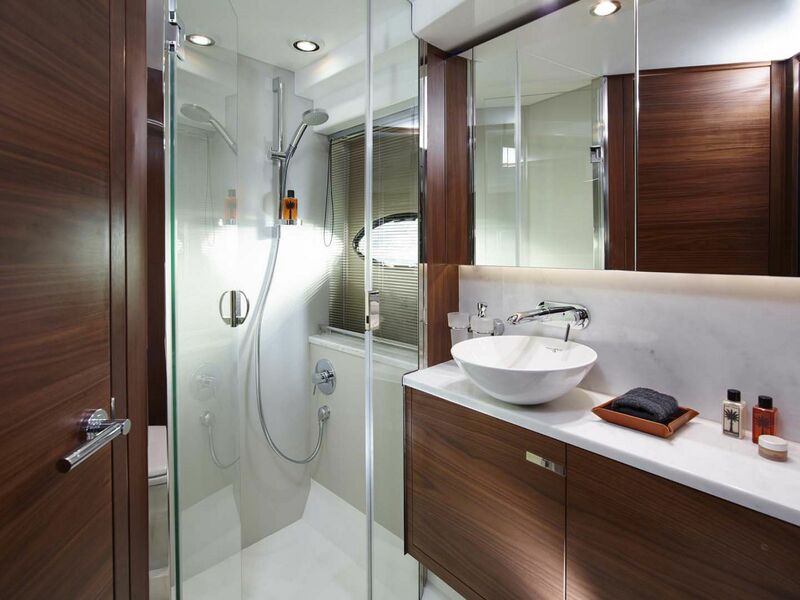 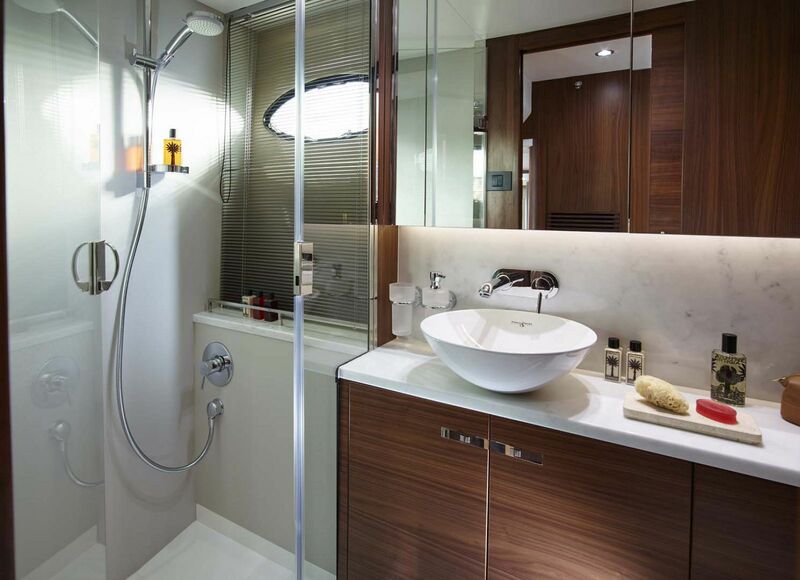 The three-stateroom layout features a full-beam master stateroom placed amidships with its own private head and plenty of seating and storage options for extended trips. 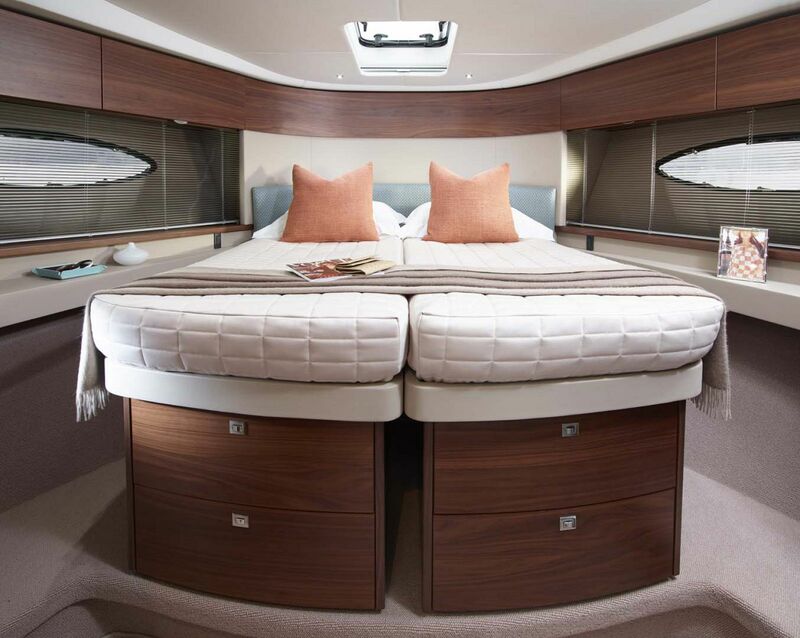 The VIP cabin is placed forward and includes a double berth as well, private access to the access that is shared with the third guest stateroom and lots of storage space underneath the mattress. 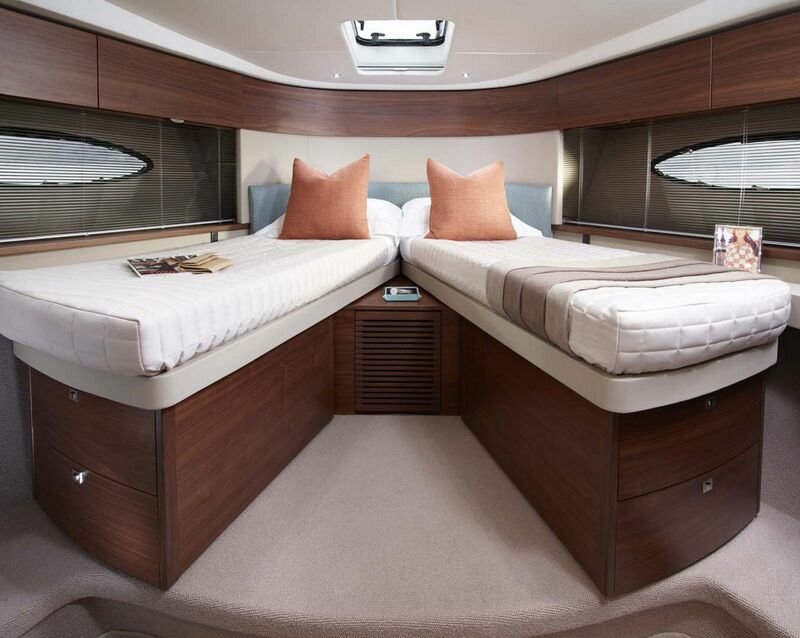 Your guests on board will feel well-rested in their private cabins after a long day playing in the ocean. 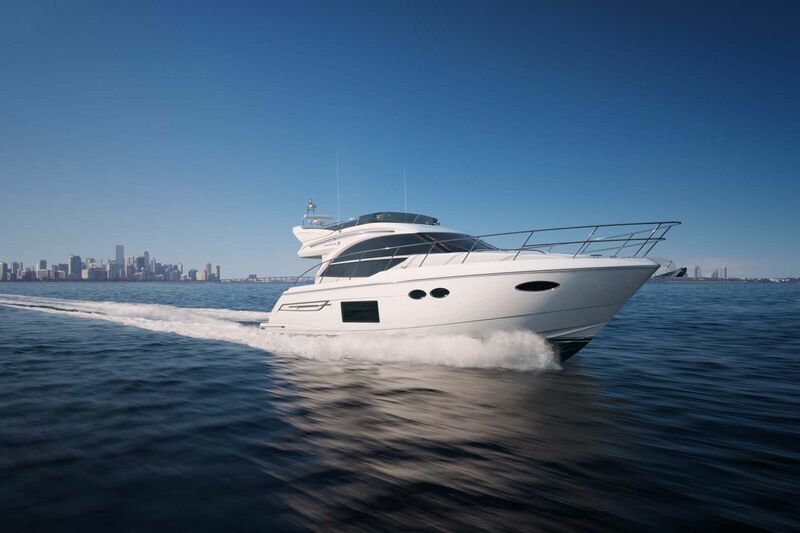 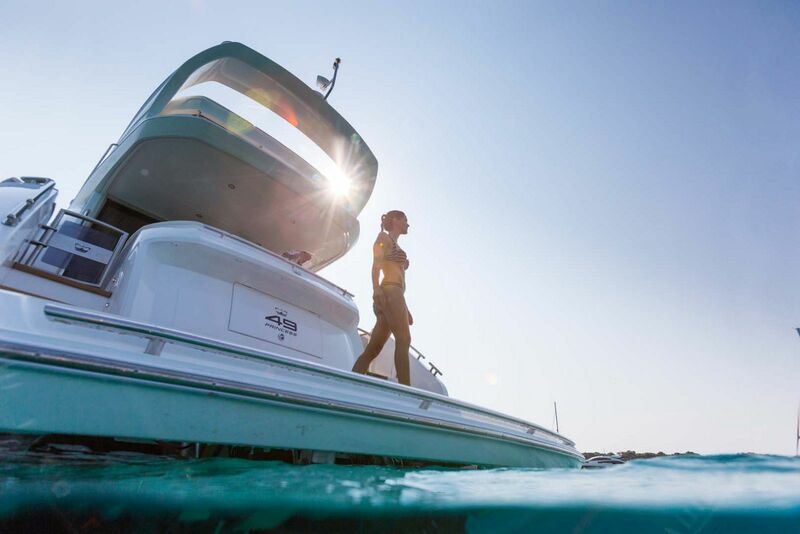 The power option on the Princess 49MY combined with the deep-V hull results in a speed up to 35 knots. 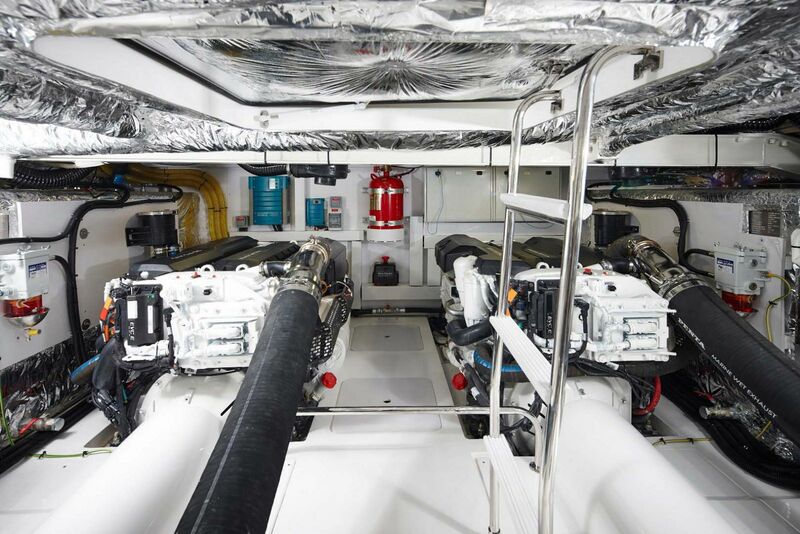 Twin Volvo IPS 700 550hp diesel engines are the model of choice by the Princess factory for optimal performance. 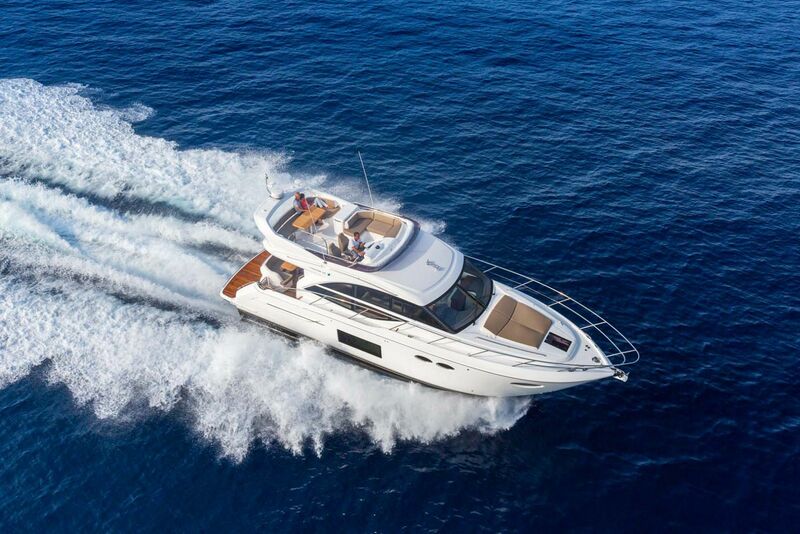 For more information on the Princess Yachts 49 Flybridge Motor Yacht, please contact your Staten Island Yacht Sales Professional today. 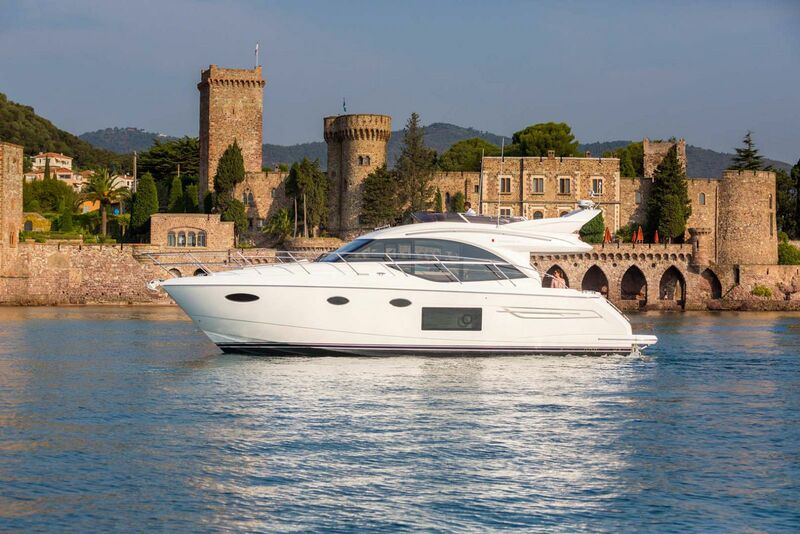 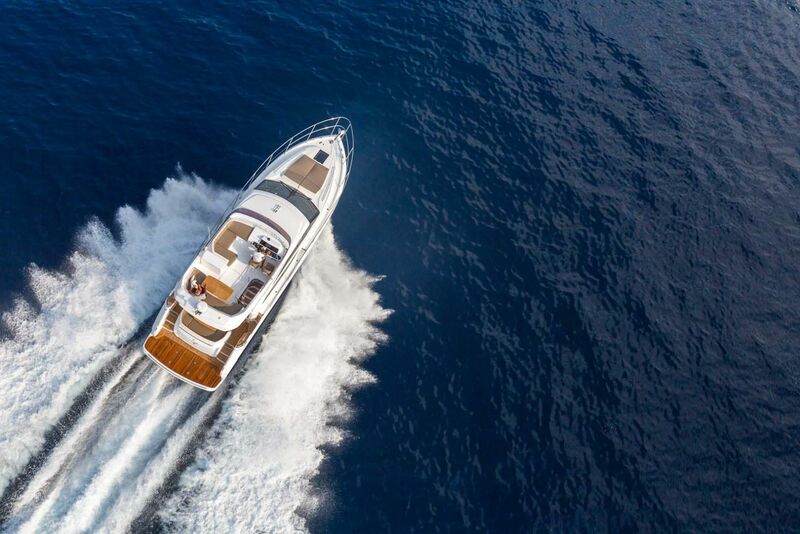 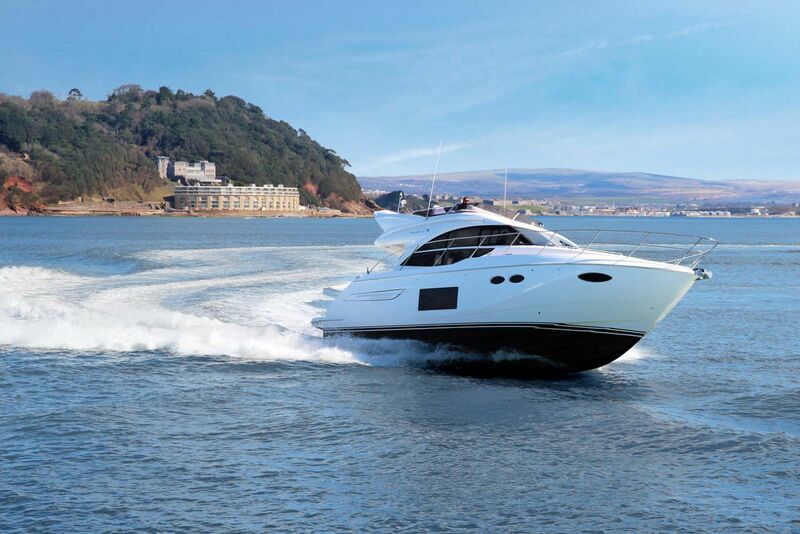 Yachting Magazine sea trials the Princess Yachts 49 Flybridge Motor Yacht. 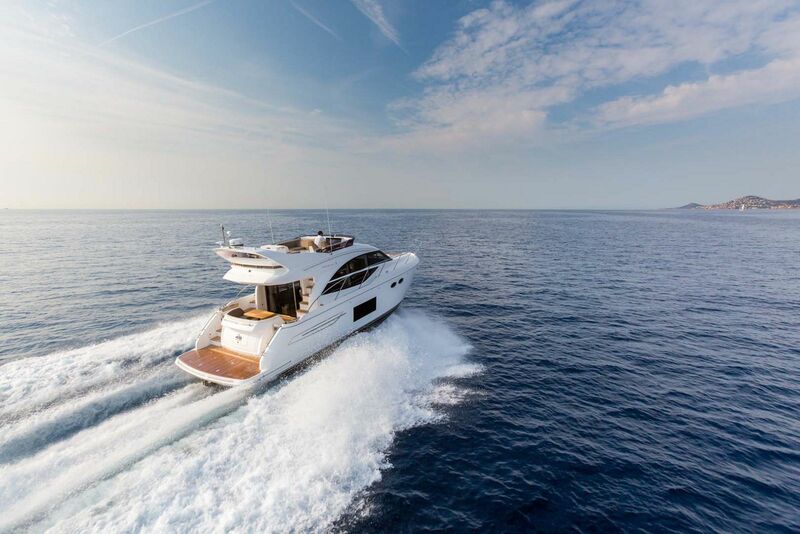 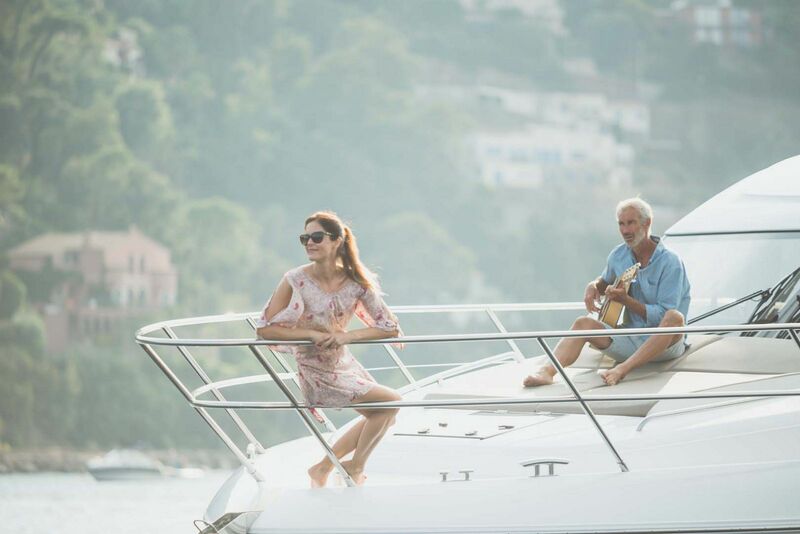 Princess Yachts releases the official trailer of the 49 Flybridge Motor Yacht.